The Central District of California has established a Mediation Panel pursuant to Local Rule 16-15.4. The Panel consists of qualified and impartial attorneys who will encourage the fair, speedy, and economical resolution of civil actions. General Order 11-10 governs the administration of, and referral of cases to, the Mediation Panel. Panel Mediators are appointed by the Court, and only those attorneys who meet the requirements as determined by the Court will be selected to serve on this Panel. 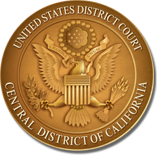 In order to serve as a Panel Mediator, a person must be a member in good standing of the Bar of the United States District Court, Central District of California, with at least ten years legal practice experience, substantial experience with or knowledge of civil litigation in federal court, and significant expertise in one or more designated areas of law. The applicant must complete a court-conducted or court-approved training course in mediation. If you are interested in becoming a member of the Mediation Panel for the Central District of California, please complete the application form and return it by email to ADR_Coordinator@cacd.uscourts.gov. Applications may be sent to the ADR Program Director at any time; however, all applications must be received by the ADR Program Director on or before April 30th in order to be considered for appointment to the Panel for the current calendar year. Appointments to the Panel are effective the following July 1st. All applicants will be notified in writing regarding the disposition of applications.